Wendy is our Account Manger. Wendy has been with REACH for over 3 years. She has a Bachelor’s degree in Electrical Engineering, and 1 1/2 years Masters in Engineering Mgmt W.S.U. Trainings/Certifications: Project Management, Billing/Invoicing, Report Writing, Inventory Software,Data Entry & File Management, and Quick Books. Why/How working with youth adds value to her life: Working around youth encourages me to be my best; to show compassion, kindness, leadership, responsibility, and joy. 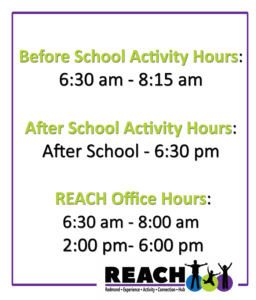 I know that everything I do at REACH is for a cause – helping the youth become responsible adults. Her REACH inspirational moment/success story: I’ll never forget a day, when I hadn’t been working long at REACH, a once-troubled youth came in with his mom (now a young adult/teen) and it was evident how far he had come. He and his Mom gave a huge amount of credit to REACH for the mentoring he had received. Wendy’s favorite REACH activity: I don’t work directly with the youth, but my personal joy regarding the activities at REACH is watching all the kids excited in line, waiting to get their bracelets for swim day. I’ve never seen children so happy and beaming with joy. Additional thoughts from Wendy: This is the first time I’ve worked for a not-for-profit company. The partnership I feel everyday with my colleagues is nothing short of inspirational. There is so much joy and satisfaction giving our “best” for youth that have been entrusted in our care.